Fun Friday! Call for Makers: World Maker Faire 2018! If you have any familiarity with the Maker Culture or the Maker Movement, you are probably familiar with Make: magazine and their incredibly successful and ever-expanding events, the Maker Faire. Maker Faire: full STEAM ahead! The Maker Faire is the coming together of fascinating, curious, eager do-it-yourselfers who embrace and pursue the creative, the inventive, the innovative, as well as sharing their enthusiasm for making and what they create. A festival of STEAM! From engineers to artists to scientists to crafters, Maker Faire is a venue for these “makers” to show off their hobbies, experiments, projects, passions. The folks behind these innovative gatherings refer to Maker Faire as the Greatest Show (& Tell) on Earth – a family-friendly showcase of invention, creativity, and resourcefulness. The first event, initiated to “celebrate arts, crafts, engineering, science projects and the Do-It-Yourself (DIY) mindset” was 12 years ago in San Mateo, California, organized by the editors of Make: magazine. It was a hit right off the bat with over 500 booths and approximately 65,000 people through the doors. This first Faire included a human-sized Mouse Trap board game, kinetic squid sculpture, 55′ wingspan kinetic steel butterfly, bicycle-powered music stage, and a solar-powered chariot pulled by an Arnold Schwarzenegger robot. From this single venue back in 2006, there are now over 225 Maker Faires in 38 countries around the world, reaching over 1.5 million people first-hand! If you’re interested in participating in the big leagues, the 9th Annual World Maker Faire in New York has put out their call for Makers and Do-It-Yourselfers! The perfect opportunity to present your amazing, creative and/or innovative DIY efforts, regardless your age, to an appreciative audience. Can’t make it to New York City? No worries! If you’d like to experience the Maker Faire closer to home, check out the 4th Annual Mini Maker Faire this fall in Prince George. Taking place Saturday, September 22nd, this is a day of Show and Tell that combines elements of science fair, craft fair and inventions! If you’re interested in participating, the CALL FOR MAKERS is now on! If you’d simply like to see and enjoy local creativity, invention, and innovation, admission is free to see the many local Makers showcasing a range of tech projects, artwork, soap making, textile and fibre work, Lego construction, woodworking and more. Wondering how to bring a Maker Faire to your community? While they can be quite grand, despite the size of these larger MF events, they are possible at almost any scale. The Mini Maker Faire program provides tools and resources to help produce an exceptional event that reflects the creativity, spirit and ingenuity of your community. The K-12 School program provides a similar experience scaled for a school community. In its simplest form, Maker Faire creates opportunities for conversations with Makers. Tech enthusiasts, crafters, educators, tinkerers, hobbyists, engineers, science clubs, authors, artists, students, and entrepreneurs all come together to show their projects and to talk about what they have learned. It is a community-based learning event that inspires everyone to become a maker, and connect with people and projects in their local community. It is a special experience, but the fundamental design of the event is one that can be reproduced almost anywhere. Mini Maker Faires are independently produced celebrations of local maker culture and the licensing program is available to interested organizations and individuals after successfully satisfying the application process. Mini Maker Faires are independently produced celebrations of local maker culture. Our city-facing Mini Maker Faire program provides tools and resources to help others to make a Maker Faire event that reflects the creativity, spirit and ingenuity of their community. There is also the K-12 School Maker Faire program providing a similar experience scaled for a school community. https://www.midaslab.ca/wp-content/uploads/2018/06/PG-Mini-Maker-WEb.jpg 450 1200 Tracy https://www.midaslab.ca/wp-content/uploads/2016/08/midas-fabrication-lab.png Tracy2018-06-22 09:08:292018-06-22 09:14:29Fun Friday! Call for Makers: World Maker Faire 2018! The BC Venture Acceleration Program is a huge stomp on the gas pedal of your business, designed to launch and grow your technology idea, start-up or business venture – faster and more successfully. On the heels of the abundance of inspiration the MIDAS and KAST teams enjoyed at the recent #BCTECH Summit, we thought it a good idea to remind the growing number of local aspiring entrepreneurs and new businesses about what’s available to them to grow your idea or startup and take it to the next level. A structured program, BC Venture Acceleration Program (BCVAP) is designed to guide, coach and grow ambitious early‐stage technology entrepreneurs and effectively grow their technology ventures. The program helps entrepreneurs accelerate the process of defining a proven business model based on a set methodology and set of best practices for growing technology companies. In short, BCVAP offers participants dedicated attention from an experienced Entrepreneur-in-Residence (EIR), a “been there, done it” technology and business professional. The Kootenay Association for Science & Technology (KAST) has been delivering the BCVAP program for several years and is proud of the roster of companies that has taken advantage of the program and its resources, successfully making huge strides growing their businesses. Each of these local companies is growing rapidly, developing their innovations and businesses not only in the region, but well beyond! Don’t forget that our specialized team here at MIDAS, and the state-of-the-art equipment and associated training are here to support your entrepreneurial and startup endeavours! So much to help you launch the idea or business you’ve been dreaming of! Fun Friday: MIDAS Fab Lab & SMRT1 Taking #BCTECH By Storm! The MIDAS & SMRT1 Technologies teams had a tremendous time networking, connecting and promoting at the 2018 #BCTECH Summit this past week. First off, a ton of fun was had sharing space, time and laughs with the rest of the Koots contingent, KAST, Metal Tech Alley, Austin Engineering, and Imagine Kootenay and seeing a whole bunch of familiar Koots faces over the course of two days. This year’s was a biggie, record-breaking, in fact. Bigger than ever, this year’s Summit hosted an estimated 9,000 participants for approximately a dozen conference-related events over three days. A whopping 3,000 delegates connected with over 270 exhibitors and watched more than 200 speakers highlighting the transformations technology is driving across all industries in British Columbia and beyond. MIDAS Fab Lab Director and tech-savvy-innovator-in-chief-teddy-bear-biker, Brad Pommen, was THE man! With tremendous skill and his usual warmth, he inspired, excited and charmed just about everyone who stopped by the booth with his range of knowledge, his expertise and his unstoppable enthusiasm. Innovation is clearly Brad’s passion and it exuded in every conversation he had. Whether it was the MIDAS Fab Lab or the business that was borne from it, SMRT1 Technologies and the incredible Brain STEM Toolbox vending machine, he made the booth a highlight of the conference. KAST Executive Director, Don Freschi, playing with the Hololens and Selkirk College’s Jason Taylor, at the MIDAS booth at #BCTECH Summit 2018.
https://www.midaslab.ca/wp-content/uploads/2018/05/Tracy-Connery-Photography-BCTECHSummit-MIDAS-SMRT1120.jpg 4016 6016 Tracy https://www.midaslab.ca/wp-content/uploads/2016/08/midas-fabrication-lab.png Tracy2018-05-18 12:55:092018-05-18 13:03:18Fun Friday: MIDAS Fab Lab & SMRT1 Taking #BCTECH By Storm! Fun Friday: #BCTECH Summit – Youth Innovation Day! All of us at MIDAS are getting excited about the upcoming Selkirk College GLOWS RoboGames! As advocates for technology and innovation education, we want to draw your attention, too, to the #BCTECH Summit and their efforts towards nurturing tech & innovation in our next generation. 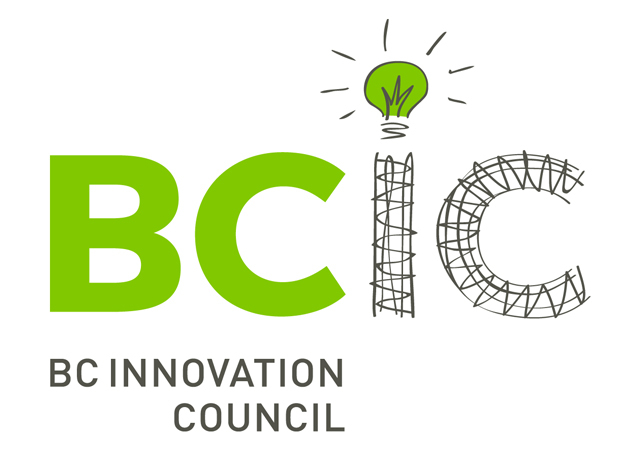 This year’s #BCTECH Summit Youth Innovation Day will be held on Wednesday, May 16th. The theme is Breakthroughs: The Power of Curiosity and Ambition. There will be a ton going on, and so much to see and explore, to encourage and engage, supporting innovative thinking in the youth who attend. From cool science to state-of-the-art cars to meeting young entrepreneurs there will be no shortage of inspiration! This will be a full day designed for high school students in grades 10 to 12. They can visit with local researchers demonstrating innovative technologies in the Marketplace and Technology Showcase, listen to inspiring speakers share the ways they are changing the world around us through technology, and gather practical information from post-secondary institutions and companies seeking the next generation of talent. There will be winning Science Fair projects and an epic battle of the robots in the VEX Robotics tourney. Mentor tables will offer opportunities to meet with leaders in BC tech, where kids can get some insight into what it takes to embark on a career in technology. Post-Secondary institutions will be on hand to help guide prospective students in the right direction to pursue the various avenues in tech education and careers. For Secondary School educators: The Solution Room offers the teacher chaperones an invaluable opportunity to meet and collaborate on how they are addressing the new secondary curriculum. https://www.midaslab.ca/wp-content/uploads/2018/03/BCTECH-Summit-Youth-Innovation-Day.jpg 1600 4009 Tracy https://www.midaslab.ca/wp-content/uploads/2016/08/midas-fabrication-lab.png Tracy2018-03-09 10:09:362018-03-09 10:09:58Fun Friday: #BCTECH Summit – Youth Innovation Day! Earlier this fall, the BC Government announced the recipients of the new BC Rural Dividend Funds, totalling over 8 million dollars. 73 local governments, First Nations and non profit organizations now have a chance to use the funding for current and planned projects. The City of Trail will receive over 79-thousand dollars and Trail Mayor, Mike Martin, says the city will use the funding to advance their broadband capabilities to businesses in Glenmerry. MIDAS is excited to be one of the beneficiaries of this funding and is excited to announce that high speed fibre internet is available to our clients. Previously, the max speed supported for client connections at the Fabrication Lab was 1Gbps. The new connection to the CBBC Fibre network will now allow for capacity to run at a whopping 100Gbps. We thank the City of Trail, Community Futures Greater Trail and the BC Rural Dividend fund for their support!